I got my rugged good looks from my Dad and my doodling skills from my Mum. Being this handsome is a curse, but doodling… ah doodling. There’s something about a bit of noodle-doodling that soothes my soul. And a stroll through my doodle-doings is just as rewarding. I love flicking through old note books and looking at the contents of my subconscious mind scribbled in the margins. 9 times out of 10 it’s a face. They’re usually bizarre or grotesque (according to some psychologosts this means I am mistrustful and needy), but for some reason, the human face seems to be a recurring theme. 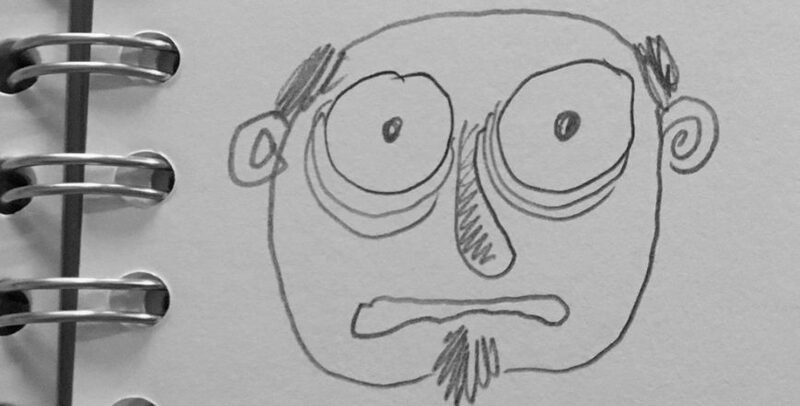 Last month, I set myself a little Twitter challenge: to draw and post a 30-second ‘stupid face’ every day for 30 days. The rules were simple, 30 seconds, just let the hand do the work with no thinking or planning, and no editing. Doodling with a direction, if you will. Some came out pretty well in my humble-ish opinion. I don’t think I’ll win many awards or commissions, but here’s November’s rogues gallery for your amusement. Doodling is fun, but there’s more to it than I’d imagined. 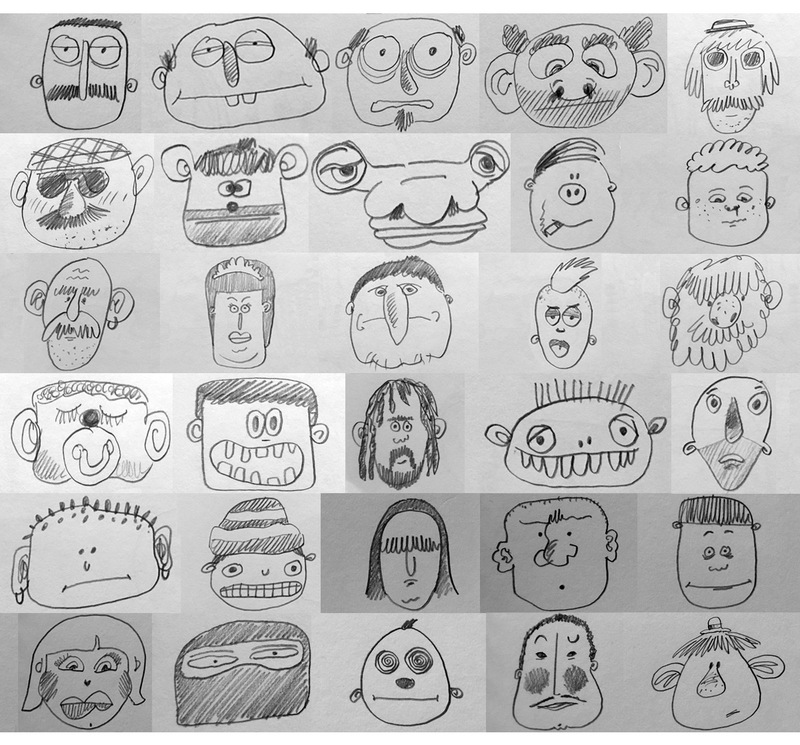 So, if you want to boost your creativity and brain power, switch off your devices, pick up a pen and get a-doodling. 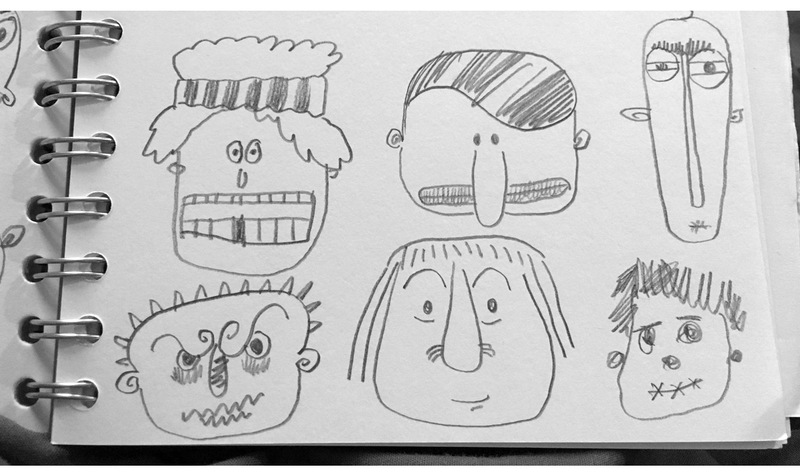 But, quickly before you hit the off button, here’s one last tour around my doodle-addled bonce with 6 more stupid faces (as ever, I over-delivered on the brief).